At a glance: How will the Chancellor's Budget impact you? 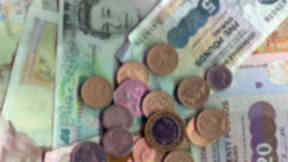 Philip Hammond announced a year-early increase to the personal tax allowance threshold. It's the Budget the Chancellor himself has said might have to be completely done over if there's a no-deal Brexit. It's also a Budget that's been held in October rather than November to body-swerve the high drama of the negotiations with Brussels. The cynic might also point to the fact it's been held on a Monday rather than the usual Wednesday - which would this year be Halloween - out of fear of tabloid sub-editors. 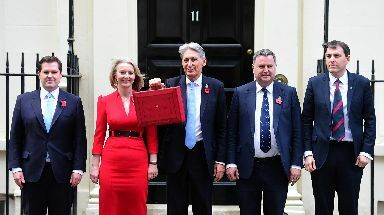 Nonetheless, Philip Hammond was tasked with making the best of it, as well as with trying to cook up a Budget that met May's pledge at last month's Tory conference to end austerity. The UK Government has already committed to pumping £20bn more into the NHS by 2023, but it's Hammond who has to figure out how to pay for it. 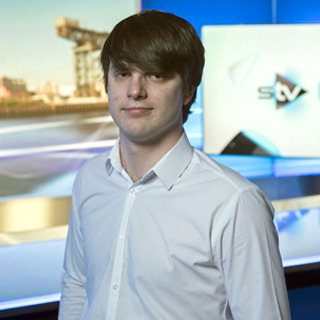 What has he come up with - and how will it affect people in Scotland? The Chancellor's language was couched in terms that suggest a compromise was struck between the Prime Minister and the cautious Hammond. He took pains to repeat throughout Monday's Budget address to MPs that austerity was "coming to an end" - not that it was to end immediately or had ended already. 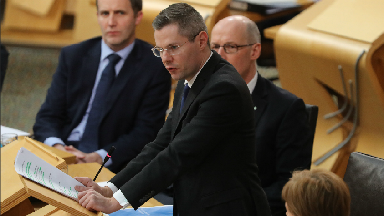 Scotland's finance secretary Derek Mackay previously warned the Chancellor not to pay for increased health spending by cutting other services. But Hammond was arguably more generous than many commentators had predicted, announcing £1bn in funding for the Ministry of Defence and hundreds of millions for health, social care, roads and high streets - in England, of course. But the Scottish Government receives much of its funding from a Westminster block grant calculated through the Barnett formula - meaning a rise in spending down south should mean more money for services in Scotland. These so-called Barnett consequentials will result in an extra £950m for Holyrood over the next three years, the Chancellor claimed. However, Scotland's finance secretary Derek Mackay insists Holyrood's budget is still £2bn lower in real terms than it was when the Tories took office in 2010. For people on low incomes, the Chancellor announced the personal income tax allowance threshold will rise from £11,850 to £12,500 from April 2019. That means the first £12,500 workers earn in the next financial year will be income tax-free - a measure brought in a year earlier than planned, Hammond said, due to improved public finances. Similarly, the higher income tax threshold south of the border will be raised to £50,000, which is the level at which the 40% tax rate kicks in. Combined, Hammond said these measures would amount to a tax cut for 32 million workers. This widens the tax gap between England and Scotland, where Mackay announced last year a 41% rate on income between £44,274 and £150,000. The National Living Wage - a fancy name for the minimum wage - is to increase for workers over 25 to £8.21 next April - from its current £7.83. This would amount to more than £690 a year for an employee on National Living Wage working 35 hours a week. However, for workers aged 21 to 24, it's a smaller increase - £7.38 up to £7.70 - an annual full-time increase of around £580. Those between 18 and 20 years old on the current £5.90 rate will enjoy a 25p wage increase to £6.15 an hour, coming to about £450 more a year. Sixteen and 17-year-olds will see a 10p rise to £4.30 an hour, meaning a yearly boost of £180, while apprentices will have their pay increased from £3.70 an hour to £3.90 - or £365 annually. The duty on beer, cider and spirits has been frozen, news welcomed by Scotland's high-flying whisky industry. It means the equivalent of a 30p saving on a bottle of whisky compared to projected inflation, a 2p saving on a pint of beer and a penny per pint of cider. But the freeze does not apply to wine, the duty on which will continue to rise with inflation, with the price of a bottle set to increase by 8p next February. And from 6pm on Monday (today), duty on a 20-pack of cigarettes will go up by 33p. Fuel duty is to be frozen for the ninth consecutive year in a bid to provide relief to motorists. The government claims it will mean a £1000 saving for the average car driver and £2500 for van drivers over the last eight years. However, petrol prices depend on a range of factors, including the price of oil, exchange rates and supply and demand.